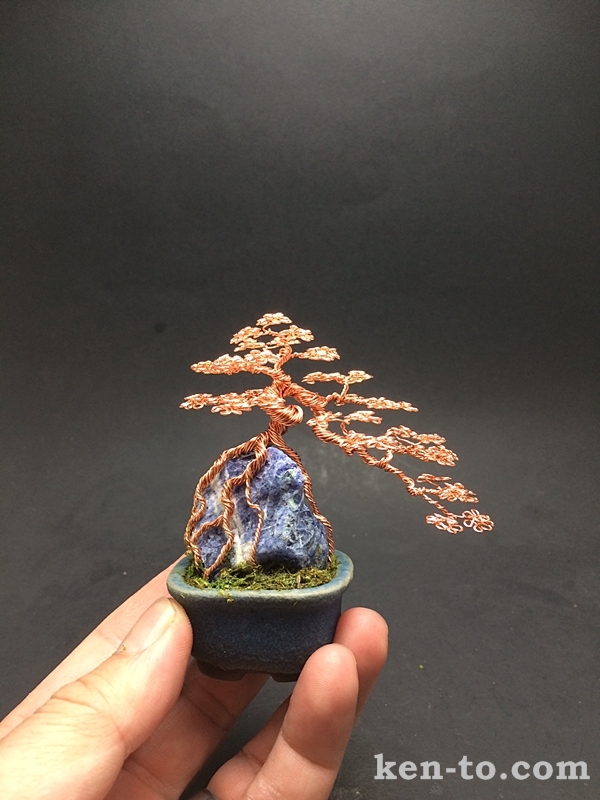 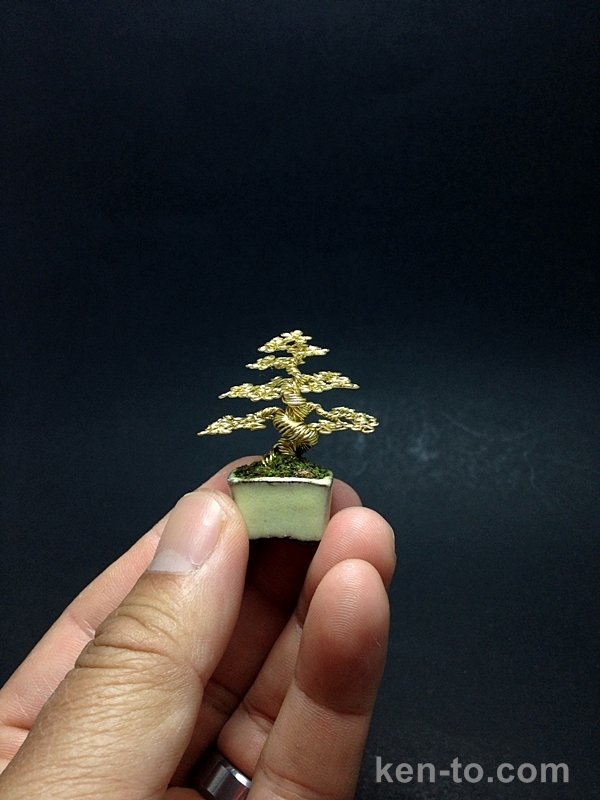 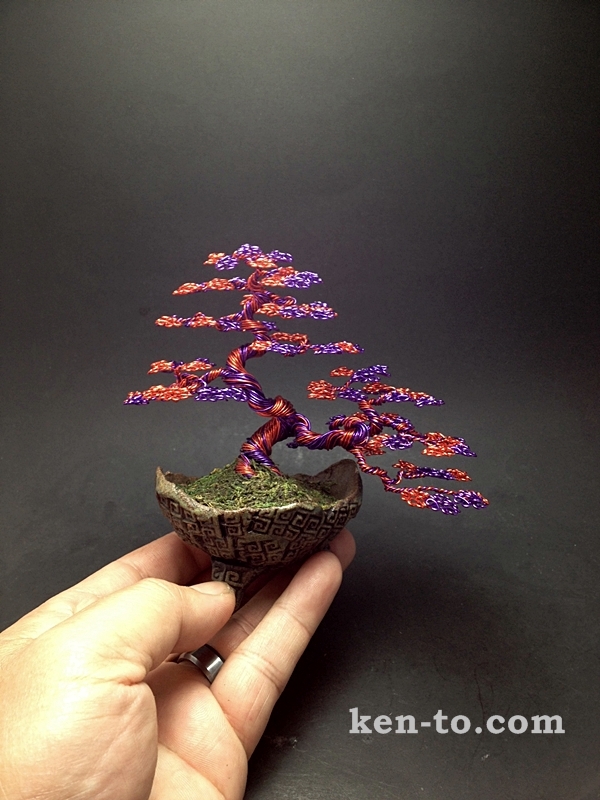 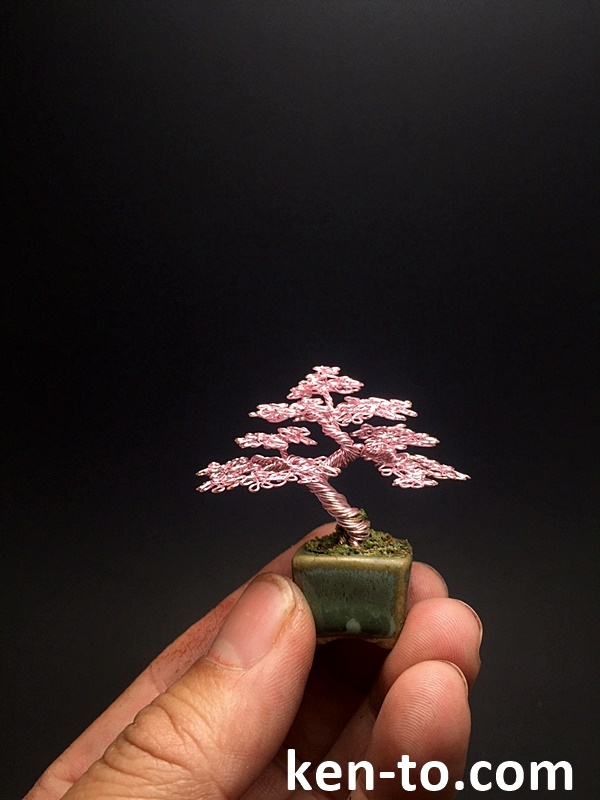 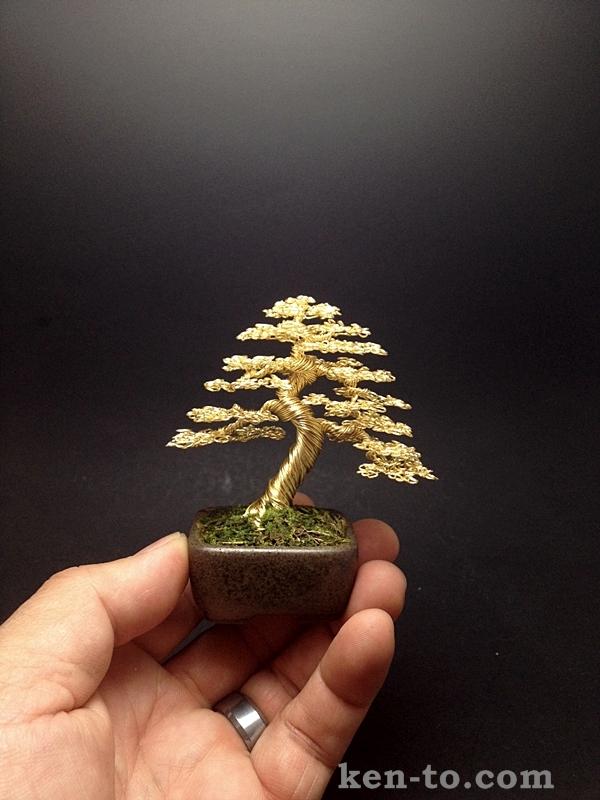 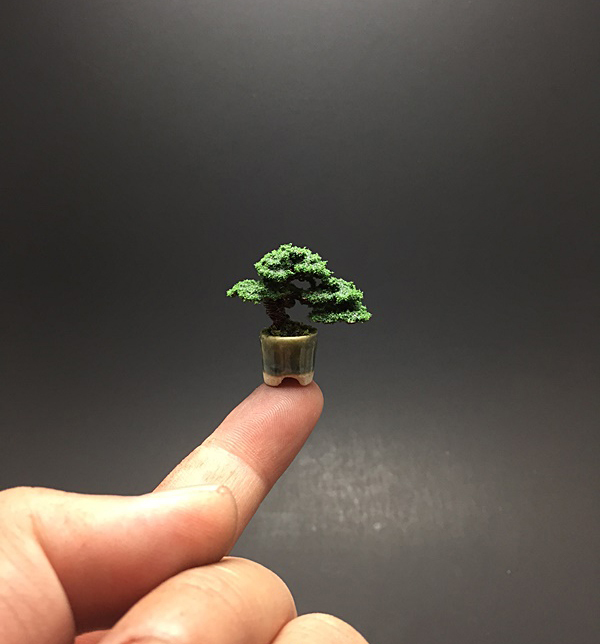 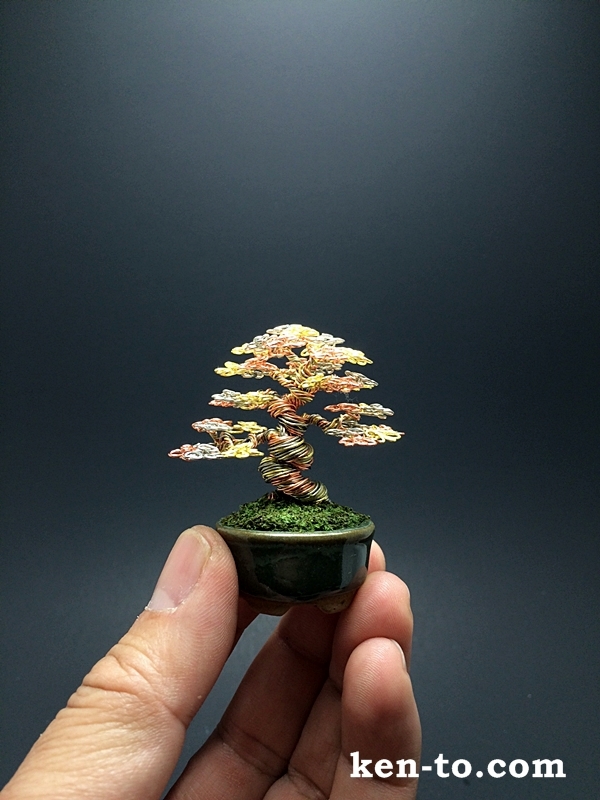 Anyone in the Bonsai biz knows that you can use wire to help define the path of a growing branch, thus allowing you to sculpt the miniature trees to whatever shapes you should so wish. 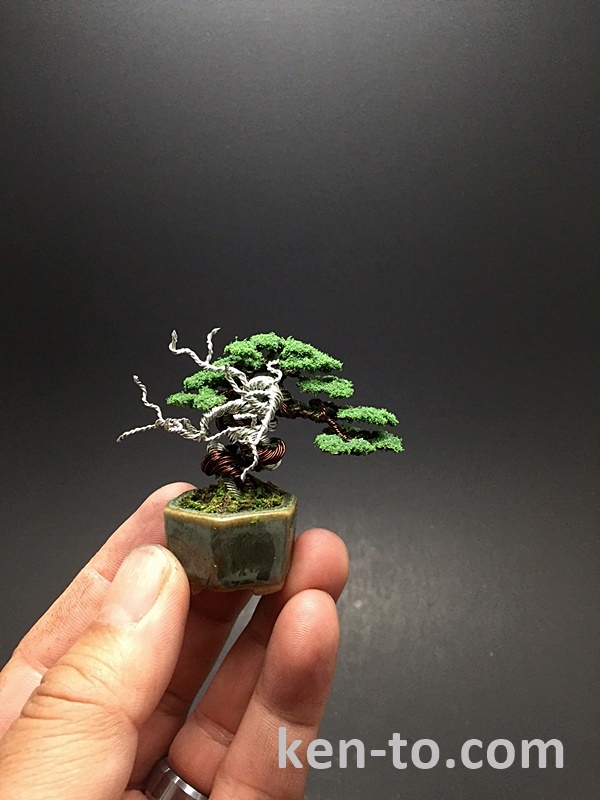 American crafter and Bonsai master, Ken To, shows that you don’t necessarily need the tree to embody the spirit of Bonsai. 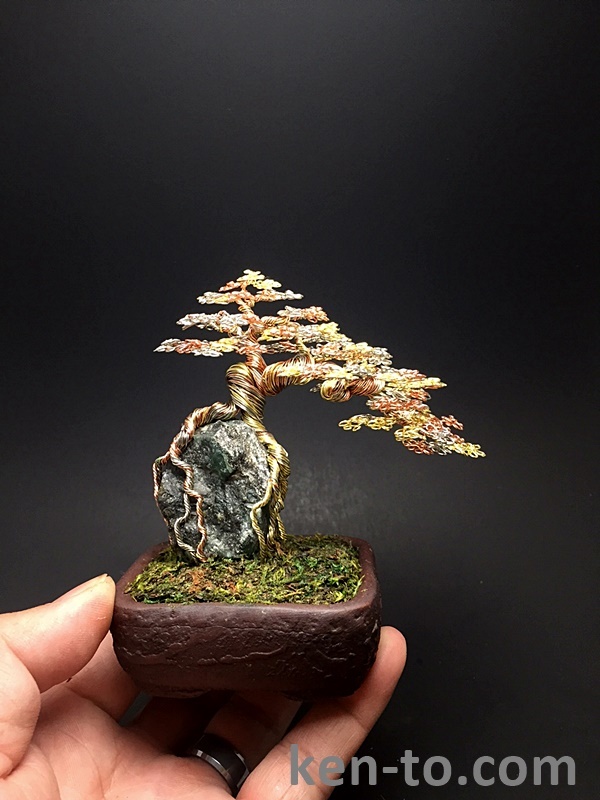 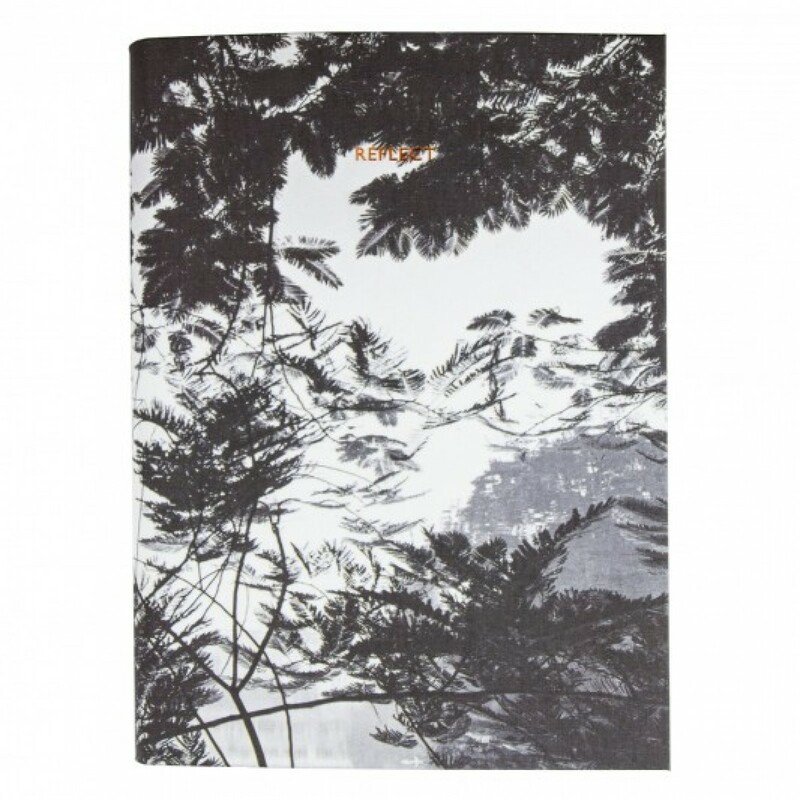 In these cases Ken has foregone the natural element entirely, what were originally a way to practice his skills for traditional Bonsai have now become a respected set of sculptures in their own right. 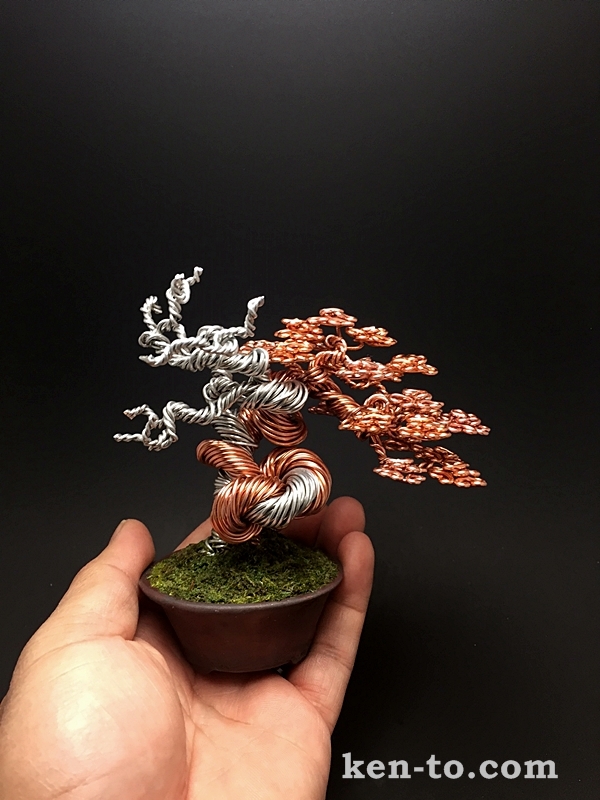 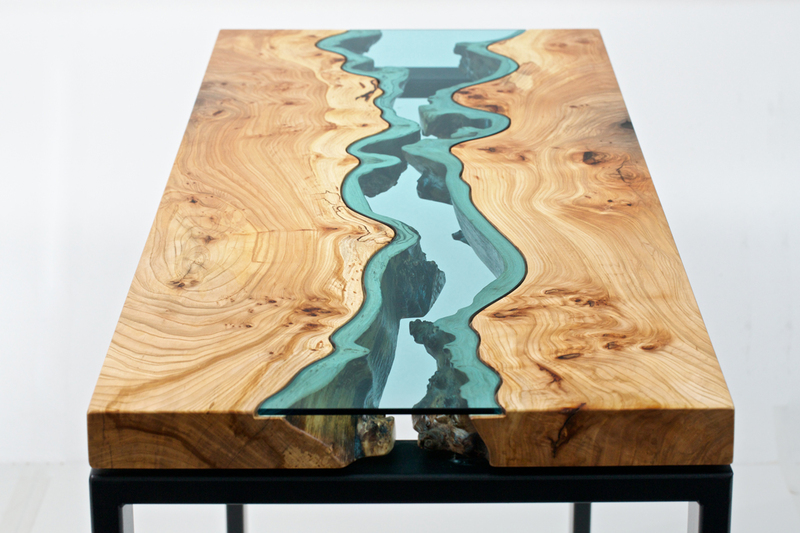 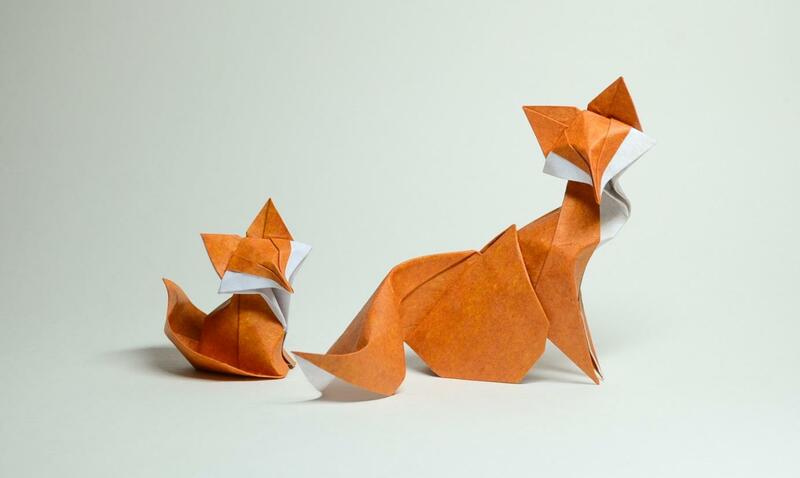 Though Ken’s sculptures are contemporary in their construction they adhere strictly to the principles of traditional bonsai aesthetics and every piece is lovingly, and quite painstakingly, hand shaped. 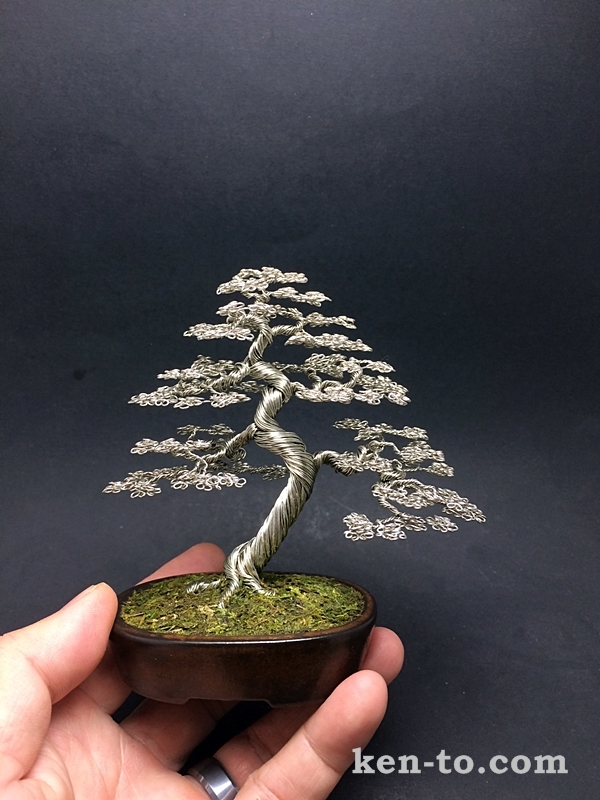 This is but a small collection of Ken’s work, to see the entire selection of Bonsai (he also sells pots and stands, should you be interested in growing/sculpting your own) visit his site HERE.